I have some SharePoint 2013 environments I use for demos and the likes. one such environment has 4 servers, on Domain controller, a VPN server for networking, another for SharePoint 2013 as a web front end and the last one a SharePoint 2013 server dedicated specifically for managing the Distributed cache service. Now I have inherited this particular set of environments from Microsoft with dummy content on so I don’t have to work too hard at developing features for demos and POCs. My lap top has a max 16GB RAM so running all 4 servers in my hyper v is very resource consuming so I needed to find a way of minimizing the RAM requirements so I could use the machines all together without compromising on performance. Although not totally necessary to have the distributed cache on a dedicated server unless you have a large farm, I decided to remove the need for the dedicated Distributed cache server as the farm is for use of about 100 users. That would save me about 8gb RAM! So no need for a dedicated cache server. But I do need to preserve the data on there and somehow transfer it to somewhere else where there is a valid service for the distributed cache, available to consume the data, the other web front end perhaps? Correcto! And then remove the service from the dedicated server and put the beast to rest. By now you’ve figured we need to use our new best friend Powershell to execute this master plan. Get used to Powershell if you wanna be a good developer/ architect, it can save you time and effort! The Distributed Cache is one greedy kid, consuming a max of 10% total memory resource on any server it runs. So be aware of this when allocating memory to the server hosting the service. 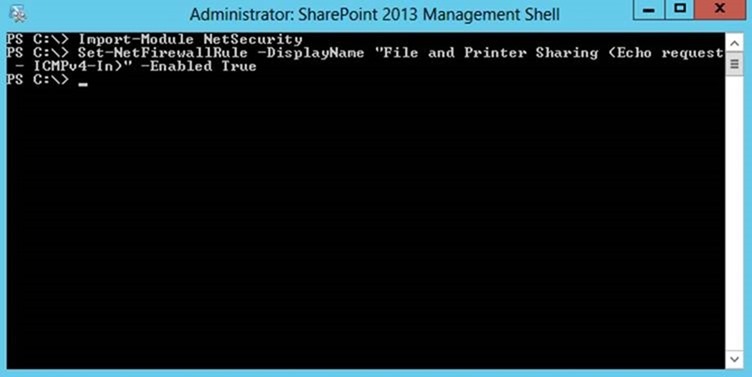 For whatever reason you need to move the Distributed Cache Service in a SharePoint environment, here’s the master plan…. 1. Add the Distributed Cache Service to the WFE-ALL server to create a Distributed Cache Cluster (Fancy eh?). You need somewhere to move the cache data to when removing the service from the WFE-DC, to avoid data loss. 2. ‘Gracefully’ shut down the Distributed Cache service on the WFE-DC. This will automatically move over all the data to the WFE-ALL server which is now part of the cluster. Its a long process, expect it to take around 15 mins or more depending on the amount of data in there. 3. Them remove the service from the WFE-DC and it’s all done. Wait 15 mins, pour a drink or make a coffee, whichever poison tickles you fancy and then check the service is operational in its new location. Also test microfeed update settings in newsfeeds, this will be a good indicator of its state. Rather then removing the Server from DC alone , if you run the config wizard and remove the WFE-DC ,It will update your config database for farm architect and will save you from many issues in future. Good Article thou.